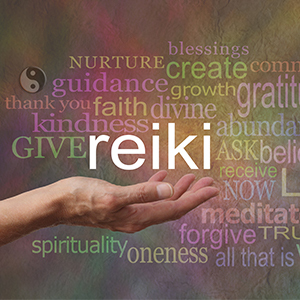 Reiki is both a spiritual practice and healing modality, as it focuses on moving the universal life energy to support a healthy body, mind, and spirit. If you have any energetic imbalances or blockages due to stress, trauma, anger, fear, or illness, Reiki can help. Anyone who is willing to learn can find the connection to Reiki energy. In this class, you will learn how to tap into that connection. You will be amazed after your first class how quickly you can “feel” the energy flow from your hands. This class will include an overview of the chakra system while learning hand positions that target each one. At the end of our Reiki Level I training, you will be certified to give Reiki to yourself and others. Preregistration is required by Tuesday, 4/23, 5 person minimum. Instructor: Before The Open Mind Center opened in 2008, Charmaine Taylor worked for many years as a Risk Manager, Consultant, and Product Developer at several large companies in Corporate America. After raising a family and spending a considerable amount of energy in the high-paced corporate world, Charmaine made the decision to leave her established work environment and pursue a career and life of much higher value, one that would benefit others on a personal and professional level. She is now a Usui Reiki Master, Karuna Ki Reiki Master, Pranic Healer, teacher, and coach. Charmaine also has a diploma in Metaphysical Theology, and has completed her 200-hour yoga teacher training certification. It is Charmaine’s goal to promote wellness, mindfulness, and awakening through The Open Mind Center, as well as to prove to others that there can be a wonderfully successful life outside of the corporate world.